You never know what’s outside your front door. A few days ago, I was eating lunch on the balcony and was distracted by some odd noises coming from the street. Loud noise is not uncommon in the neighborhood. If it’s not rumbling street cars, loud trucks, boisterous drunks, or screeching babies, it’s something. This time, the noise was a “good noise.” It turns out that a film crew was shooting a scene in front of one of our apartment storefronts. How fun! 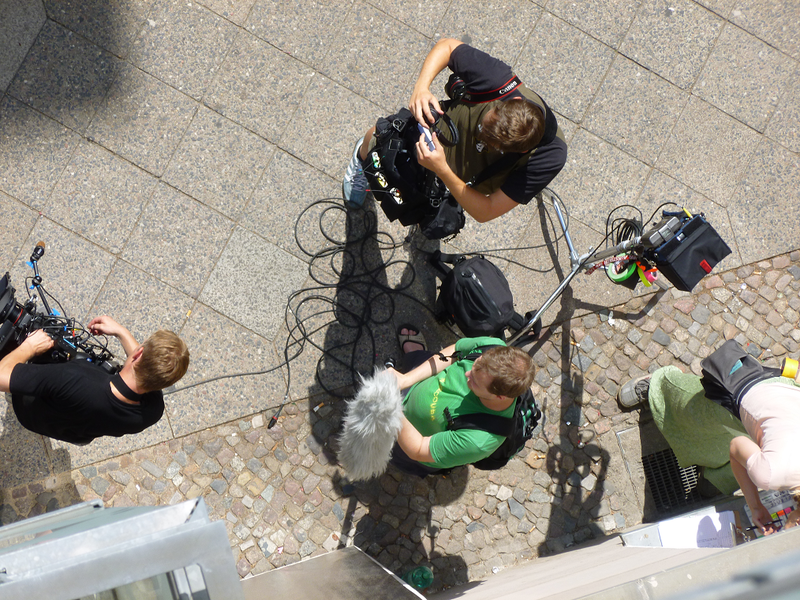 I can't help but stop & gawk whenever there is filming in Berlin, and it happens so often. Did you find out what they were filming? Unfortunately, I didn't get the movie or TV series title.